Custom solutions are also available. 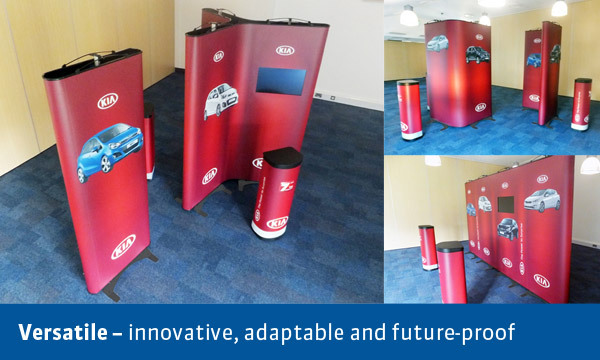 FlexeStand is a hugely versatile, award-winning, portable display system. 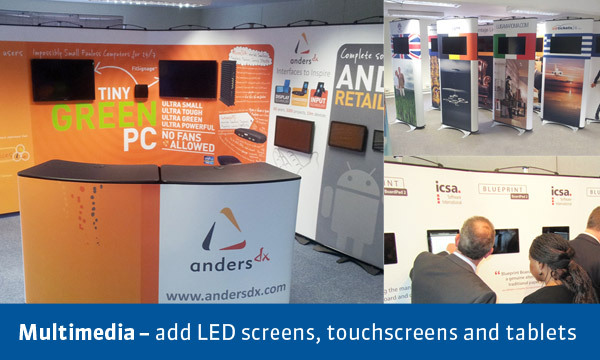 It offers market-leading solutions for virtually any display requirement. Clients include global names such as Disney, Google and Kia Motors, and a huge range of UK businesses and organisations. 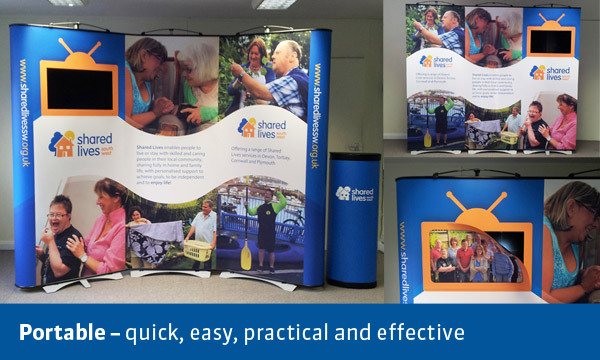 A single-sided FlexeStand kit can be used as individual banners or linked together to form a bigger display. 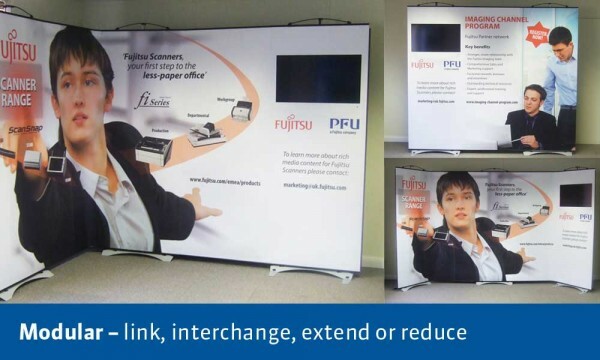 Panels can be connected in any order and flexed into different shapes, allowing the display to fit any space and application. A wide range of easy-to-fit accessories are available, along with options to use it as a double-sided or multi-sided display. View the Kits or Bundles Menu or check out these typical examples. 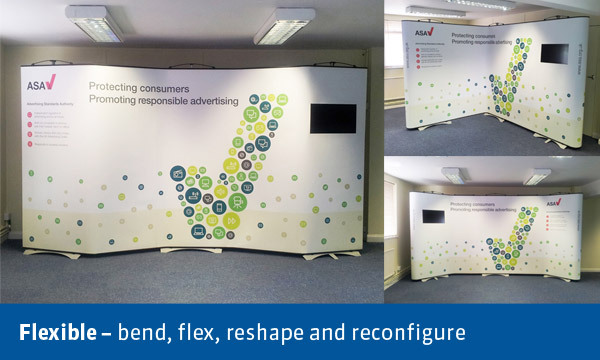 FlexeStand Multi-sided Kits have graphics on all sides of the display giving a 360 degree all-round view. They can be used individually or linked together to create virtually any configuration. These highly innovative and unique displays are very portable and easy to use yet robust enough to take accessories such as LED screens, tablets and shelving. View the Kits Menu or check out these typical examples.